Despite the fact that skinny jeans are one of the most classic denim styles we have, they can be one of the trickiest to wear. Aside from fit, rise, wash, and material, there’s the predicament of what to wear with them. I recently waxed poetic about the shoe style I’ve completely stopped wearing with skinny jeans, and it got me thinking about all the things I’ve banished from my skinny-jean outfits—of which there are several. The reason skinny jeans can be a challenge to style is plain and simple: They’re tight. They look best with pieces that balance out the slim proportions of the jeans, and I try to stick to complementary pieces and trends that help them to feel as fresh as possible for that particular season. That said, at this point in time, there are several pieces that I don't see myself adding to my skinny-jean outfits anytime soon, but luckily, there are much chicer alternatives to consider. Keep reading to find out which pieces I’ve banished from my skinny-jean outfits (but that doesn’t mean I’ve banished them from my wardrobe entirely), and shop what I’m wearing with them instead. The favorite top to wear with skinnies is a slightly cropped and boxy one, as it balances out the proportions perfectly. I try to avoid outfits that are 100% fitted, in general. As I explained in this story, heels are a bit too much with skinny jeans for me, but sneakers (especially chunky ones) are a perfect pairing. Nylon bomber jackets don't feel as fresh as they once did, but oversize blazers certainly do. Plus, it's a great choice for those who want a little extra coverage when wearing skinny jeans. Just as tight tops feel a bit over-the-top with skinny jeans (to me, at least), I avoid low-cut ones for the same reason. 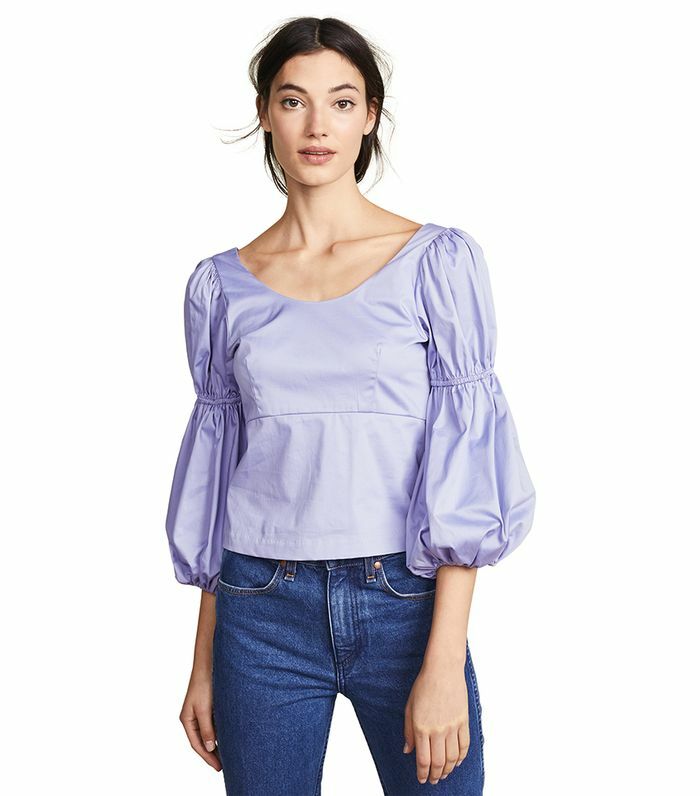 Instead, wrap tops are a universally flattering option that easily transitions from day to night. A bare midriff plus skinny jeans is a big no for me, but a cropped jacket over a tee tucked into skinny jeans is one of my favorite looks. Since skinny jeans are tight around the ankles, wearing visible socks with them doesn't make much sense to me. Instead, I often opt to wear a sockless style like mules, which never fail to look cool and effortless. Next up: the affordable jeans we’re buying on Amazon this fall.